I was inspired by one of my students to write a post on the topic of Reiki and cancer. My Level Two student contacted me and told me that the manager at a hospice she was volunteering at didn’t want her practicing Reiki on patients because the manager wasn’t sure what Reiki was. Given the hospice is located in Vancouver, which has a really historically strong and prolific Reiki community, this surprised me. My student asked for information on this topic and I sent her some links from key cancer organizations in Canada, the US, and the UK, for her to review and forward to the hospice manager, as well as information on the Canadian Reiki Association, a national certification body for Reiki practitioners and teachers in Canada, of which both she and I are members. Reflecting on this topic a bit more, I thought it might be helpful to write a post on Reiki and cancer for not only my students, but also my fellow Reiki practitioners, and especially for those clients who have cancer. The objective of this post is to shed some light on the benefits of Reiki treatments for someone who has cancer as well as potential risks and also speak a bit about being empowered about things you can do to heal from this disease. I will present and provide a brief summary of what the main cancer agencies have to say about Reiki and provide some additional comments as someone with expertise in a healing modality as well science in areas including statistics, study design, and environmental toxicology. First, let’s take a look at what the Canadian, American and UK cancer agencies have to say about Reiki. I chose these key agencies but note that there is much, much more information available on this topic online. I did not review information presented by Reiki organizations on this topic but stuck to what is presented by these cancer agencies. My review is meant to share what is presented by these agencies rather than provide a comprehensive literature review on the topic of cancer and Reiki. I have not reviewed the original studies cited, which as a scientist I would recommend people who are interested in more thorough information do. My goal with this review is simply to provide a summary of information presented so the reader can answer simple questions like 1) Are there any benefits to having a Reiki treatment? and 2) Are there any contraindications or risks to having Reiki concurrent with my cancer treatments? “Some people with cancer say they feel better after using therapies such as Reiki. Studies show that this is often because a therapist spends time with the person, and touches them. After the rush and stress of hospitals and treatment, it can be very relaxing when someone gives you attention for an hour or more, in a calm setting. Reiki is sometimes used in palliative care, especially in hospices. 2008 UK study: “In 2008, UK researchers carried out a review of studies into Reiki for any medical or psychological condition. They looked at 9 randomized clinical trials that used Reiki. 2 other trials seemed to show that Reiki and distant Reiki reduced stress and hopelessness. They go on to describe what happens during a Reiki treatment, cost of Reiki treatment, various levels of training that Reiki practitioners have and Reiki organizations in the UK. “Energy-based biofield therapies cannot be as easily measured or researched. Effectiveness of these therapies has mainly been reported by individuals or is based on small studies. They have mainly been used to relieve symptoms of cancer or side effects of treatment such as anxiety, fatigue, pain, or nausea and vomiting…. Some people with cancer have reported increased well-being, less pain and reduced nausea and vomiting after Reiki sessions…It is also not certain whether these therapies can actually enhance healing. “There are many individual (anecdotal) reports about Reiki’s power to increase feelings of well-being and refresh the spirit. Some patients who were getting cancer treatment have reported an increased sense of well-being, with less pain, nausea, and vomiting after Reiki sessions. One small controlled pilot study found that Reiki was linked with reduced self-reports of pain in patients with advanced cancer, but it had no effect on the amount of pain medicine used by the patients to control their pain. A non-randomized study reported that Reiki improved anxiety among women after undergoing a hysterectomy. On the other hand, a randomized study reported no effect on anxiety of women undergoing breast biopsies. A 2008 study looked at 100 people with pain due to fibromyalgia, using Reiki treatments or sham treatments twice a week. Researchers double-checked to be sure that the participants didn’t know whether or not they got Reiki. In the end, they found no difference in pain between those who got Reiki and those who got something that looked like Reiki. Many studies of Reiki have been conducted without using rigorous scientific methods, so quality information is scarce. For instance, studies that do not use a placebo group (using sham Reiki and identical conditions) are more likely to show symptom improvement shortly after treatment. But studies without placebo control leave open the possibility that the outcome is produced by mental and physical factors other than Reiki. Available scientific evidence at this time does not support claims that Reiki can help treat cancer or any other illness. More study may help determine to what extent, if at all, it can improve a patient’s sense of well-being. So based on information presented by the above-mentioned agencies, to answer the first question – What are possible benefits of Reiki? – it appears that based on anecdotal evidence that possible observed benefits include reduced anxiety, fatigue, pain, or nausea and vomiting. There may also be other healing benefits that were not observed or assessed. Until more elaborate randomized trials that include appropriate samples sizes and placebos are conducted the statistical significance of these effects, which is used to validate the effectiveness of Reiki as a treatment, remains undetermined. Reiki should be used to complement other treatments and not used as a replacement for conventional treatments. For the second question – Are there any contraindications or risks to having Reiki concurrent with my cancer treatments? – it appears that Reiki treatments are safe to include with cancer treatments and may help with the side effects of those treatments such as nausea from chemotherapy or radiation treatments or pain from treatment or cancer itself. However, the physician guiding treatments should always be informed of alternative therapies used. My views as someone who has gone from a skeptical person with a science background to now being a Reiki Master, who has experienced and observed many physical phenomenon I cannot explain is – that it is worth trying Reiki to see if it can help you as you heal from cancer. Let go of your beliefs of what you think you understand or know and observe for yourself if it is effective for you. We live in an age where there is an arrogance where we think we know and understand everything (though I imagine throughout history at any given time that was viewpoint held by many). The human body is intricately and intelligently designed and connected to our mind and emotions. The human body is not a machine that can be understood by breaking it down into parts. The problem with using that approach as western medicine does is the underlying intelligence and way the cells, tissues, organs of the body communicate with each other and interact is lost as is the mind-body connection – the way our thoughts affect our body and vice-versa. Become aware of and shift your thoughts – Your thoughts can affect your body and your healing. Monitor what your thoughts about cancer are. Be an observer and hear what you are telling yourself. Are you saying I am going to die any day? I won’t survive this? Have you successfully removed or reduced your tumor and are really just waiting for the news that it is back? Are you waiting for the next test to tell you its back? It’s time to take control of your thoughts and stop torturing yourself and living in a constant state of fear and stress. Focus on monitoring your thoughts and start to replace negative messages with affirmations that send positive and loving messages about your health. Our bodies, our cells, tissues, and organs receive messages we send as thoughts. Start to ask yourself is your way of thinking or a thought creating fear and stress and if so replace it with a peaceful thought. It is essential to recognize that fear and stress come from your thoughts and don’t do anything positive for you. We have to break this habit (and it is just a habit of thinking this way) and work and retrain our minds to not live in these states of mind. Repeating affirmations like “My body is healing perfectly” or “Any cancer cells in my body are dissolving” and feeling those words are true. 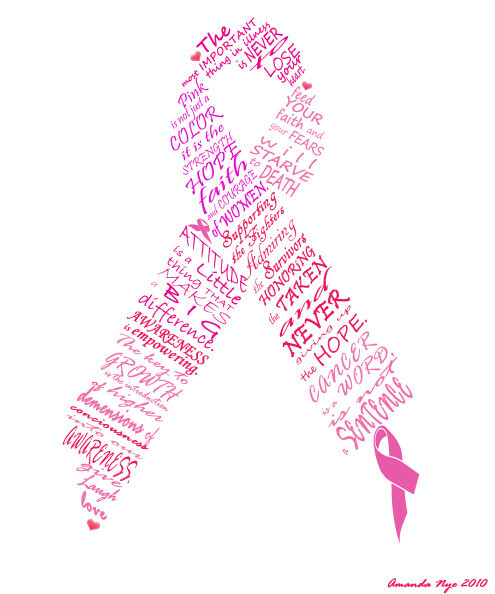 Visualize your cells being healthy and send love and pink light to the area affected by cancer; often we view the part of body we have cancer as an enemy and not a part of us that needs more love than any other part of our body. Let go of the worry and fear (I have a post on that topic if this is a big issue for you https://justbreathereiki.com/2013/07/12/letting-go-of-worry/). Start to talk about healing from cancer rather than fighting cancer. Embrace peaceful approaches to thinking about this disease and focus on healing. Let go of your cancer victim label and live life again – Our ego loves us to attach to labels and have us identify with roles, situations, jobs, and disease. If you are diagnosed with cancer, you want to still be you – a whole person and not just be your disease. You don’t want to be the face of cancer. You don’t want every conversation you have to be about cancer you have, your treatments, your prognosis, other people who recently were diagnosed or died from cancer, about statistics, etc. Start to set boundaries in your life. Speak about cancer to the medical professionals you see to treat you but limit conversations with family and friends. If there is an update to share with family and friends do so, but start to have other conversations. Tell them you want to talk about life and living again and not talk about your illness. Find things to talk about again. Instead of spending time researching cancer statistics online, which only serves to reinforce negative messages online look up a new movie you can see or book you can read, maybe a place you want to travel to, maybe just watching a video that makes you laugh on YouTube. Start to return to life and living. 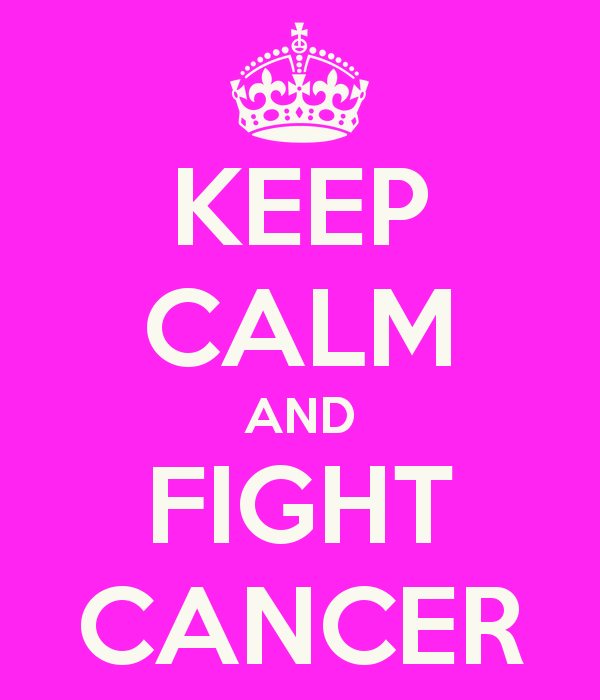 Focus on your cancer and treatments when it is time to do that but don’t let it become the only focus of your life. Focus on your health and well-being, on being loving and compassionate with yourself and those around you. Care for your body – Make sure you nourish your body with high quality, high nutrition foods, adequate rest, and exercise. Western medical doctors aren’t educated sufficiently about nutrition (my GP indicated he spent less than a day learning about nutrition in medical school). I would expect that many doctors who specialize in oncology or radiology are better informed on this topic. It may be worthwhile consulting with a nutritionist (a natural foods oriented nutritionist rather than an “old-school nutritionist”). I’ve heard from a friend who has cancer that the advice she received from the nutritionist assigned to her, which contrasted with her oncologist, was to take Ensure, a nutritional supplement (which has a lot of sugar) and eat red meat to raise her iron. I’d recommend speaking with someone who can guide you on foods that have high nutritional value, are anti-inflammatory and can help you heal and feel energized. Clean up your diet. Eating healthier WILL make you feel better, more energized, and nourish your body. You may want to consult with a naturopath as well as your doctor on benefits of supplements and vitamins. Consult with your doctor on whether exercise is appropriate as it can definitely increase your quality of life, reduce stress, and increase your energy levels. Walking outdoors in nature can really help to get you outside your head, your world where cancer predominates, and appreciate the nature around you and feel at peace. Yoga can be very restorative and make you feel rested and relaxed and let go of the tension you are holding in your body. Be compassionate with yourself, and when you feel like you need to rest or bow out of attending an event do so. Be kind with yourself and if your body says you need rest, rest. Rest and sleep are very healing and gives our body time to do its work at healing and replenishing. Listen to your body! Care for your mind through meditation – Having recurring thoughts about your disease, outcome of your treatments, and your mortality are natural when you have a disease like cancer. However, you want to ensure that topic does not dominate your thoughts day and night. Stress and worry do nothing positive for your health and conversely, can negatively impact your recovery and healing. Start to learn to quiet your mind and say to yourself “that is enough on that for now” and find some inner peace. How do we do this? It’s simply breaking a habit. Meditation can be very beneficial. Meditation helps us to control our mind instead of our mind controlling us. It allows us to be present in our bodies and start to learn that we can stop recurring thought patterns that bring us stress and sadness. Thinking these type of thoughts and have an ongoing narrative with negative messages playing in our mind is something we can stop and replace with quiet. 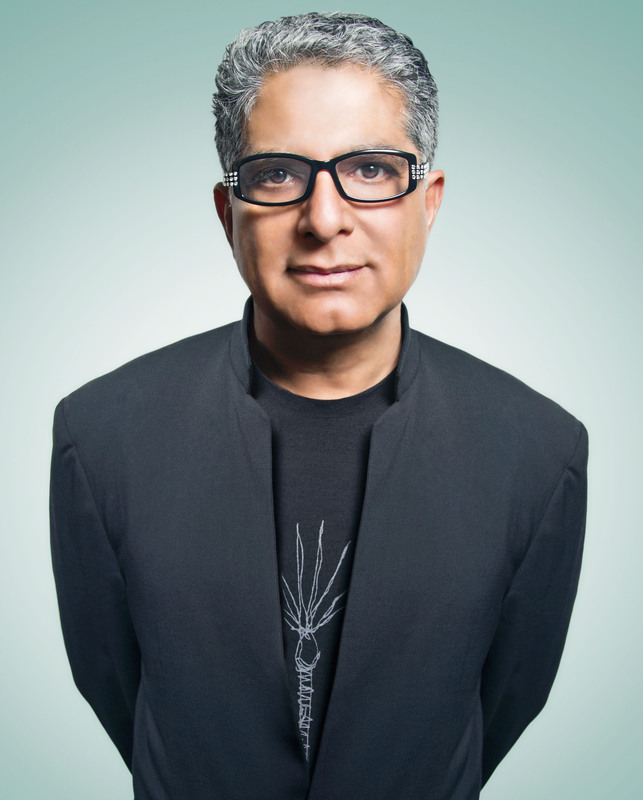 Deepak Chopra and Oprah Winfrey have a guided meditation series that lasts 21-days on the topic of Perfect Health that might be the perfect thing to try (really any of their series are fantastic). They currently have an ongoing series on Finding your Flow that you can sign up for here (https://chopracentermeditation.com/?utm_source=daily&utm_medium=email&utm_campaign=day-01). You can also do visualizations while you meditate (Adam Dreamhealer has some great CDs with visualizations). Just search on You Tube and find something that resonates with you and brings you peace. Read books on healing – There are numerous books written by people who have beaten cancer that will have approaches they recommend you adopt but they may not have any medical background/training. I personally would recommend reading books by western medical doctors who have standard western medical training combined with alternative medicine training like Deepak Chopra, Andrew Weill, Bruce Lipton. They all have numerous books that discuss diseases like cancer and will open your mind and allow you to see possibility for your healing in a new light. They will also give you a different view or perspective of the human body, how it works, how complex and intelligent it is. Reading their perspectives on diseases like cancer will give you a new perspective and allow you to see there is much we don’t know or understand about the human body – how intelligence resides in all our cells, how our cells hold memories, and how intricately the body and mind and emotions are connected. Reading these books can open your mind to healing, being open to other approaches, harnessing the power of the mind-body connection and letting go of what you think you know about this disease. Monitor your thoughts on your diagnosis – I want you to respect but not be attached to your diagnosis as a death sentence. Remember that scans you received are a snapshot at the time the scan was conducted. It does not necessarily mean that if time has passed your tumour is the same OR WORSE. Start to question what you know for sure. When we receive a negative medical diagnosis, which can be based on statistics (like you have 6 months to live) the impact can be dire. What do we do? I know people close to me that received this diagnosis a number of years ago and pursued treatment and are still here. Deepak Chopra talks about the effect of “nocebo” – of receiving a negative diagnosis and its effect on a patient’s mind, body, and spirit. It’s important to detach from seeing your diagnosis as set in stone and use how you are feeling to guide you as well. Our bodies will show us signs when we are unwell. Picture your body being well and at peace and as noted above affirm your continued healing and return to perfect health. Explore Alternative Medicine Options – There are lots of people who have had cancer and had a diagnosis that stated their cancer was too advanced or they would soon die and treatment was not an option and sought alternative treatment and lived or their cancer went into remission. It’s often at this stage of diagnosis people start to go outside the realm of western medicine treatments to look for other help or solutions. The books by doctors noted above talk about cases like these in their book. Start to explore what other modalities might help you. Review them with your doctor and even if your doctor is dismissive do your own research and if no harm can come and the modality and practitioner is reputable, give it a try. Remember there are lots of practices such as Chinese medicine, herbology, and acupuncture that have existed long before Western medicine arrived on the scene. Western medicine does not have all the answers (if it did wouldn’t we would have found a cure for cancer?). Give healing modalities like Reiki a try. Be open-minded. Everyone’s mind and body respond to treatments differently. Forgive and Let Go – Now is the time to forgive grudges you have been holding, for hurts you’ve experienced, and for things that people have said or done that you’ve internalized. It’s also a time to forgive yourself for anything you’ve done, said, or regret. Healing emotional wounds can help us heal our physical body and is equally important on your healing journey. Letting go of the baggage and garbage you carry around with you will liberate you and make you feel lighter and you may even notice you feel less pain. You may want to see a therapist to assist you and guide you in this task. If you are not comfortable with that you may want to explore the self-help book section on this topic. Forgiving and letting go does not mean you condone the things said or done to you – it is not for the other person, it is completely for you. It’s so you can let old wounds heal and not relive the past through memories or reexperiencing old emotions. Start to see the world through more peaceful eyes. Let go of conflict. Don’t look for what is wrong in the world, look for what is right. Stop watching the news (you can read the news and select the stories you hear). Sign up for some newsfeeds, blogs, or facebook pages that are inspiring. See the kindness people show you and people around you and be kind when you interact with others. Let go of negativity and pettiness. When you embrace the world with the spirit of forgiveness, positivity and kindness that is what you will receive back. Don’t use your disease as an excuse to be difficult, angry, and to take things out on your loved ones. If these were your last days would you want them to be filled with love and kindness or with anger, frustration, regret, and isolation. You can choose how you live the rest of your life. Choose love and peace and kindness. No matter your age or how you’ve lived your life, you can change. You can also forgive yourself if you haven’t been the most loving person in this world and start to share some of that love even with a stranger or a pet. Let your heart open and heal and forgive. See the Gift in your Illness – The Universe whether you believe it or not brings illness, injury, and other big life changes to our lives as a gift to help us change things that are not working in our life and to gain perspective. How could someone say that about cancer? When the Universe gets us to put our lives on hold and let go of our routine and obligations and really focus on the core of life it can make us see the world, the people in it and ourselves quite differently, and change our lives. It might be realizing that there is this caring and compassionate community of strangers, doctors, nurses, volunteers offering you so much kindness and care when you haven’t experienced much love and care in your life. It might be realizing that you were not quite so kind and compassionate to others who had illness or other challenges enter their life and now you can see that and will make an effort to do so. It might be realizing how you’ve taken so much in your life, including friends and family for granted. It might be forgiving old grudges and letting things go. It might be getting the gumption to go on that trip you’ve always wanted to go on. It might be creating and living your bucket list. It might be doing some “house-cleaning” and choosing to let go of toxic negative people and surround yourself with those that are truly loving and kind and true. It might be making changes in your life as or after you heal – changing careers, finding a new different kind of partner, moving to a new home or city, taking up new hobbies, or making health and exercise a part of your new routine. You may decide to volunteer your services to others after you heal, driving people to appointments, or helping out with collecting donations for cancer charities, or participating in other fundraising. Many peoples lives open up with realizations about things they never knew about themselves or the world after they develop cancer. They see themselves and the world through new eyes. Open your eyes, reflect, and see what gifts there are for you in your healing journey. See all the opportunities and blessings you have. It’s never too late. Being an informed and empowered patient and not just going along for the ride is important. So read, ask questions, take control over things you can control like eating a healthy diet, reducing stress, exercising if possible, and thinking positively about your health and life and choosing the best combination of western and alternative medicine approaches. Incorporate things into your daily routine that nuture and energize you and make you feel peace and self-love and help you let go of stress and pain. Be kind and compassionate and patient with yourself and your body and mind as you heal. Wishing you many blessings on your healing path.